Soviet Russia had two chances to kill Hitler | . ::Khawaja's Blog::. The Soviet Union had at least two opportunities to eliminate Adolf Hitler, but Joseph Stalin did not give the go ahead, fearing the signing of a separate peace treaty between Germany and the Allies. The facts were revealed by Russia’s former Interior Minister, General Anatoly Kulikov, at the “Unknown Pages of the Great Victory” conference, which took place in the Military Academy of the General Staff of the Armed Forces of Russia. 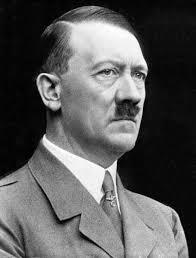 “Few people know that in 1941 the leadership of the Soviet Union made a decision to eliminate Hitler. At first, it was planned to do in Russia, in Moscow, in case German troops captured the capital. It was later planned to liquidate Hitler in his headquarters, but, suddenly in 1943, Stalin decided not to do so, fearing that, after Hitler’s death, his entourage will sign a separate peace treaty with Britain and the US without the involvement of Russia. The facts proving such negotiations exist,” RIA Novosti news agency cited Kulikov. According to the General, who now heads the Club of Military Commanders of the Russian Federation, the USSR had a second chance to assassinate Hitler in 1944. “The detailed plan of the assault was already prepared, but a sudden rejection from Stalin came once again. And this happened despite the fact that there was already a person prepared, who intentionally surrendered to the Germans and was enjoying their confidence. That operation had all the chances for success,” he stressed. Kulikov added that the Club of Military Commanders possesses an even larger amount of lesser-known facts about the Great Patriotic War. “We plan to publish a 500 or 600-page collection of these materials and reveal it to the public,” he announced.